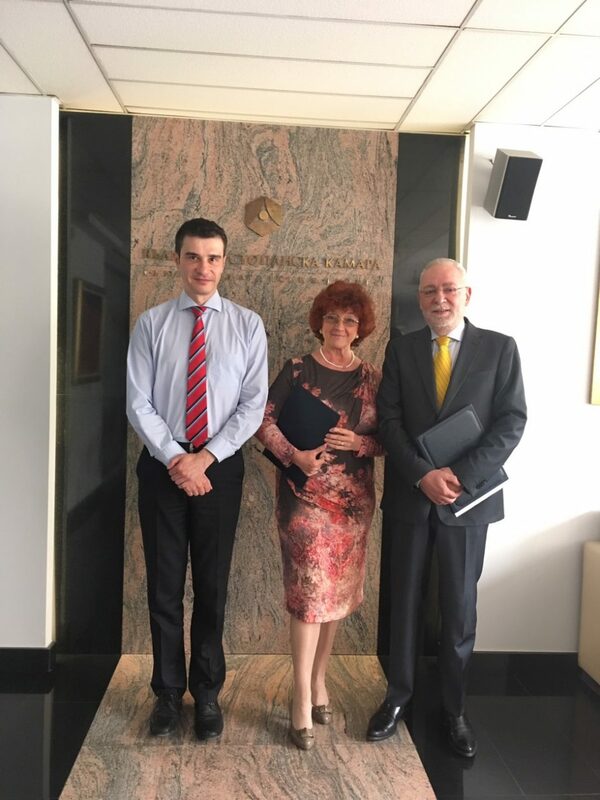 Bulgarian Industrial Association – Union of Bulgarian Business has signed a cooperation agreement with Aval In JSC – the first company approved by the Bulgarian Stock Exchange as a Bulgarian Enterprise Accelerator Market Advisor for Small and Medium-Sized Enterprises. Signatures under the document were made by Radosvet Radev – Chairman of BIA, Bistra Ilkova – Chairman of the Board of Directors of Aval In JSC and Velichka Sakakyan – Executive Director of Aval In JSC. Mr. Ivan Takev, representing the Bulgarian Stock Exchange, attended the event as well. The agreement aims the promotion of the newly created BEAM Market organized by Bulgarian Stock Exchange as a place for alternative financing for small and medium-sized enterprises (SMEs), their registration, promotion of their products and services, as well as increasing the credibility of small companies on international markets.